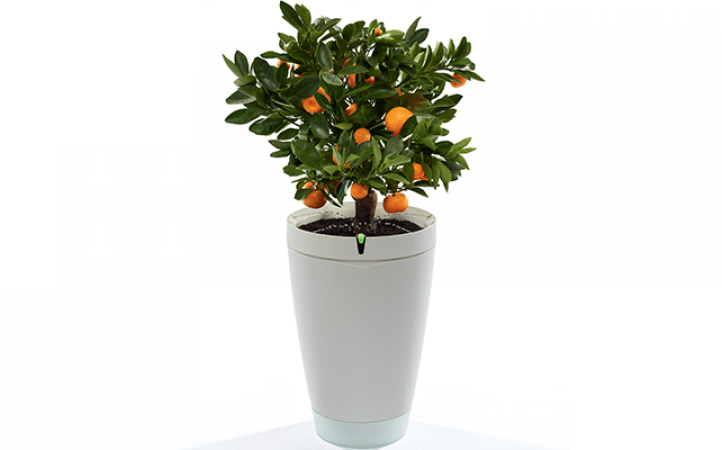 Today We Tell You About This Intelligent Flowerpot That Doses The Water That The Plant Needs And, Once It Is Finished, It Remembers It. Studio Lorier From Holland Was The One Who Gave Life To "Natural Balance", It Could Represent A Practical And Simple Solution To Start Acquiring A Basic Habit Of All Gardening. It Is Also Perfect For Those Who Go On Vacation Or For Those Who Do Not Know Well How Much Water Your Plant Needs. If You Have Just Moved And Want To Fill Your House With Life And Color. You May Want To Have A Pot With A Beautiful Plant. But If You Are Forgetful, Do Not Have Much Time Or Think That Gardening Is Not For You, You May Have Been Told That You Should Choose A Plant That You Can Water Once A Week, Like Succulents. Or Maybe, You Just Need A Little Memory Aid To Remember To Water Your Plants As Often As They Need It. Thanks To An Innovative Design, The Pot Is Made Of Ceramic, But It Has A Small Internal Chamber That Stores The Water And Doses It Automatically. As The Water Is Consumed, The Pot Tilts Slightly Backwards; So That When The Person Sees That He Has Lost His Vertical Position, He Will Know That It Is Time To Water Again. "The Pot Has An Integrated Water Tank, Which Keeps The Soil Hydrated. The Pot And The Tank Are Divided By A Water-Permeable Part, Made Of Mud. This Material Allows The Water To Gradually Pass To The Soil Only When The Plant Needs It, Preventing It From Being Soaked Unnecessarily, "Explain Its Creators. The Best Thing Is That, In Addition To Warning, The System Allows The Plant To Remain Without Being Watered For Up To 20 Days. A Smarter Indoor Garden Device. You Have To No Worry About Space, Sunlight, Ever Watering. All Thing Are Happening Without Notice You, After You Programmed That. You Can Grow Plants Like Basil, Mint, Tomatoes For Your Basic Daily Needs. 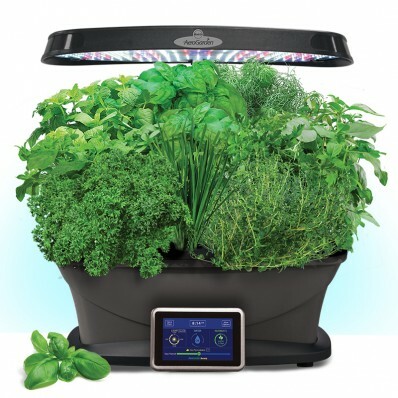 Best Sprout Led Light Technology Makes Amazing Task For Aerogarden. 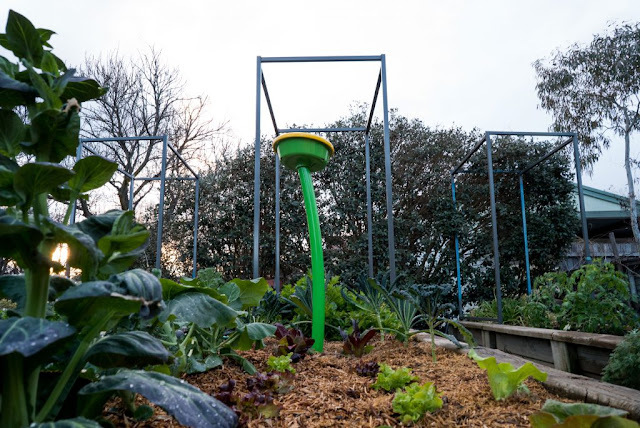 Designed For Use In Gardens Up To 10 Square Meters, Gardenspace Does, What Any Gardener Can Do: "Monitor Your Plants 24 Hours A Day, 7 Days A Week With A 360 Degree Rotating Camera (With Motion Detection)." Thus, We Can Be Aware Of The State Of All Our Plants. The Gardener-Robot Is Very Easy To Use. The First Thing We Have To Do Is Connect It To The Water Supply And Wi-Fi. And Then, The App Created For The Occasion Will Be The Command Center Of Our Garden. Its Creators Highlight That Gardenspace Includes A Catalog Plants That Lets You Know When To Water (And When To Stop Watering), In Addition To Watering Each One With The Necessary Water, Avoiding The Waste Of It. In Addition, The Robot-Gardener Works With Solar Energy, Does Not Harm The Environment And Acts As A Deterrent To Pests. "Integrated 360 ° Movement Detection And Water Supply Work Together To Detect And Avoid Any Unwanted Visitor In The Garden," Explains The Start-Up.